With similar arguments as people in conservation areas who have been evicted for REDD, like the Sengwer case in Kenya (see http://wrm.org.uy/all-campaigns/your-support-in-needed-the-sengwer-people-in-kenya-is-being-forcibly-evicted-from-its-territory/), several indigenous communities in tiger reserves in India are facing imminent eviction from their homeland allegedly for “tiger conservation”. 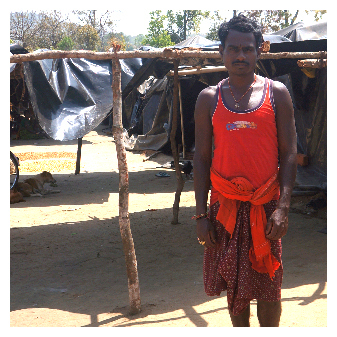 Survival has reported that the Khadia, inside Similipal Tiger Reserve, have been evicted andare now living in dire conditions under plastic sheets. They have not received the compensation they were promised. Other tribes in Tiger Reserves in Odisha in eastern India, who have been living with the forest’s wildlife for generations, are facing harassment and pressure from forest guards to force them out of the reserve despite the villagers’ desperate appeal to stay on their land.